The State of Louisiana has increased its wild alligator population from less than 100,000 to over 1.5 million in the past 30 years. Initially all harvest of alligators was stopped, allowing the wild population to stabilize. Then years of telemetry studies were conducted to determine nesting chronology and habitat requirements. State officials realized that saving a species is directly related to saving the habitat. Since 80% of the wetlands in Louisiana are privately owned, the economic incentive of a successful alligator program is a vital aspect of such a program. Alligator hunting has a very long history in our state. A controlled wild harvest has been carried out since 1972. This harvest program was slowly expanded from the southwestern parishes to a statewide program. After ten years with a closed season, this regulated annual harvest created a strong economic incentive for landowners to maintain or enhance wetland habitat. This benefit with conservative quotas established by LDWF was also received by hunters and the rural communities in general. The wild harvest has grown from 1,350 to over 35,000 alligators taken annually. During the 1980s an alligator ranching program was developed. An alligator egg collection program was initiated in 1986. Permitted landowners may sell alligator eggs to farmers every summer. Strong egg prices proved an additional incentive to keep the wetlands wet and wild. Provided with ideal conditions, these farm-raised alligators grow to four feet in twelve to eighteen months, as opposed to 3 to 4 years in the wild. Due primarily to predation, less than 15% of wild alligators ever reach this 4-foot size, but those that do, have an excellent chance to survive to adult size. To insure a stable, increasing wild population, the farmers take 10% of their 4-foot alligators and, using airboats, return them to the wild. The wild population is very carefully monitored. The state economic impact from both consumptive (i.e. meat and hides) and non-consumptive (i.e. swamp tours, photography, ecotourism) alligator use is estimated at up to 60-70 million dollars per year. The wild season is set in September, when breeding females are hidden away with their nests. So, primarily males and non-breeding females are hunted. No other species in the world is regulated at the level of alligators. A CITES (Convention for International Trade in Endangered Species) tag is required for all harvested alligators. The tags are issued based on the population estimates derived from nest counts. Furthermore, information such as landowner, hunter or farmer, length, and shipper are recorded for every alligator harvested in compliance with state and federal rules for crocodilian management. Export of alligator skins and products out of the United States is regulated by the Convention on International Trade in Endangered Species of Wild Fauna and Flora (CITES). This treaty, which became effective in 1975, regulates the international trade in protected species; its aim is to ensure that international trade in specimens of wild animals and plants does not threaten their survival. The U.S. Fish and Wildlife Service (USFWS) administers CITES requirements and controls for the United States. The species covered by CITES are listed on one of three Appendices, according to the degree of protection needed. Currently, the alligator is listed on Appendix II of CITES, because of their similarity of appearance to other crocodilians that are truly endangered or threatened. Louisiana has more alligators today than in the days of our grandfathers. Populations are increasing steadily. Coastal nests counts have increased from 8,600 in 1970 to 58,000 in 2016. Wild populations are estimated to be just over 1.5 million. There are also over 900,000 alligators on ranches in Louisiana; in more typical years 600,000-700,000 may be in captivity. The Department of Wildlife and Fisheries conducts a coastal nest survey each year to determine alligator nest densities in various regions. Nest densities, which provide an index of alligator populations, are charted according to habitat type, latitude and longitude, and ownership. Each year after the nest density estimate is obtained; an allowable take (quota) is calculated. Nest densities fluctuate depending on conditions, during droughts they can decline, or they can increase dramatically during prime nesting seasons with optimum water levels. The State will then issue individually and sequentially numbered nylon lockable alligator harvest tags. These tags are designed to ensure that once properly applied any tampering with them will be apparent. Alligator hunters and farmers must obtain state licenses. Hunters are issued a license and a number of tags based on the property on which he/she has permission to hunt. Each property receives a tag allotment based on the habitat quality and quantity. Farmers must show compliance of facility standards during a required facility examination by Department personnel prior to issuance of the license. Farms are inspected by state personnel to check housing and water conditions prior to approving the facility for licensing. The state looks specifically at or for sanitary conditions, temperature control, feeding, and spacing availability. State personnel inspect and track the size and number of hides from alligator harvests. A data-base is kept with such information as who hunted or farmed and who shipped which hides to various tanneries. Egg collections are equally monitored. A three party contract is made between the landowner, the rancher collecting eggs and the Louisiana Department of Wildlife and Fisheries. The State determines how many eggs might be available for collection on a certain piece of property. The rancher must report to the State how many eggs were collected and how many hatched. The farmer then has two years to return 10% of those healthy alligators at 4 foot length. 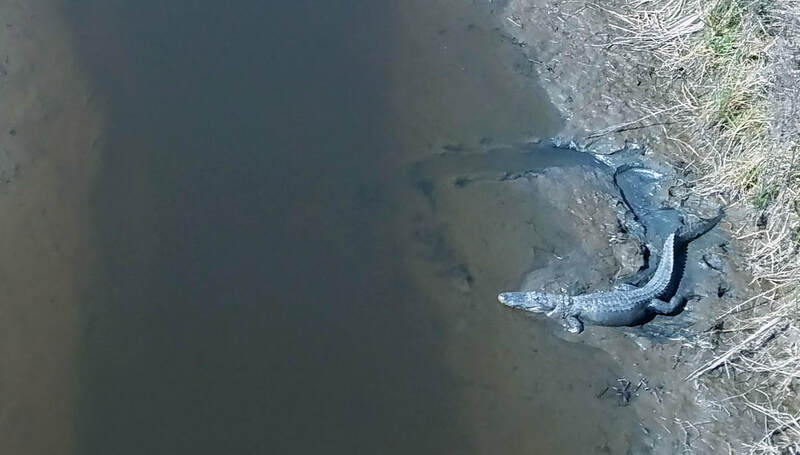 The State monitors the returns to ensure healthy alligators are released. The economic incentive gained by landowners, hunters, trappers, ranchers and the community at large ensures a positive environmental impact through alligator utilization. Poaching is virtually non-existent today. People protect what has value to them and the alligator is carefully monitored in Louisiana today. Since the alligator is valued, its habitat, the wetlands, is also valued. Landowners spend money to protect their property from saltwater encroaching on the coast. Louisiana is losing coastal wetlands at an alarming rate due to many climatic factors. There is incentive to slow and reverse this process to protect the renewable resources in the marshes. 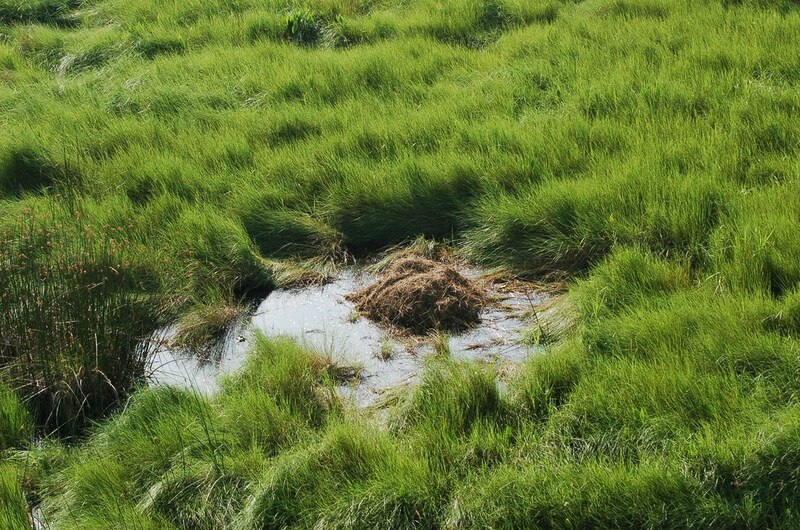 By protecting the marshes, many other species of birds, fish, mammals, etc. are also spared. Louisiana's alligator management program has been operating under strict and intensive supervision for over 40 years. Wise utilization of our alligator resources have led to a viable industry with a stable and rising wild population. Intensive use and scientific effort have answered the questions of potential impact and enabled industry to defend itself based on demonstrated science. Conditions on the farms are closely monitored by the State of Louisiana to ensure humane housing and treatment. A Best Management Practices document is adhered to by industry personnel. Regulations are in place guiding the wild hunts as well. For example alligator lines must be checked daily and pole hunting is prohibited. In recognizing that the Louisiana alligator industry is a vital aspect of Louisiana’s economy and recognizing the many, varied national and international impediments to industry development, and the need to develop and maintain a total alligator conservation program, the Louisiana legislature established the Louisiana Alligator Resource Fund in 1991. This Act established a dedicated source of revenue intended to help defray the costs of the alligator program within the Coastal and Nongame Resources Division of the Department. All fees related to the alligator industry (hide tag fees, shipping label fees, severance tax on alligator skins and alligator hunting license fees), are deposited into the Alligator Resource Fund. All aspects of the alligator management program, including biologists, staff, alligator disease research, education, promotion, and representation at CITES are funded by the Alligator Resource Fund. The alligator industry should be applauded for supporting these legislative endeavors to create a self-generated source of revenue to develop and maintain the state’s alligator management program. ​The alligator industry is a model of wise environmental management and this conclusion is supported by the analysis of extensive scientific data and the support of a wide range of professional scientific bodies. Further the industry believes that utilizing this renewable natural resource to maintain Louisiana’s cultural heritage is an endeavor filled with wisdom.